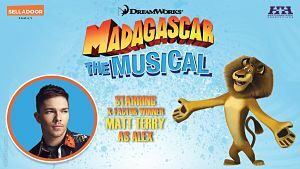 Matt Terry – Winner of 2016’s X-Factor is to play Alex The Lion in the brand-new tour of Madagascar – The Musical which opens at New Wimbledon Theatre on 16 July. Matt will not be performing on 28th Jul, 03 Aug, 04 Aug, 01 Sep and is cast until 25 December. 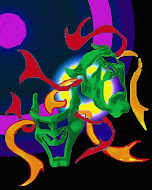 He is currently not scheduled to perform in venues for 2019. Since winning X-Factor, Matt has been recording music all over the world including Miami, LA and Scandinavia. After a top three hit with Ed Sheeran penned winner’s single When Christmas Comes Around, he released his debut album ‘Trouble’ in November 2017. His first single from the album, Sucker For You has had nearly 60 million streams on Spotify. After Sucker For You, Matt went back to his Spanish childhood by featuring on Enrique Iglesias’s smash single, Subeme La Radio alongside Sean Paul. Matt will be joined by a cast including Antoine Murray-Straughan/Marty,Timmika Ramsay/Gloria, Jamie Lee-Morgan/Melman, Shane McDaid, Laura Johnson/Kowalski / Foosa Leader, Jessica Niles/Private / Mort, Victoria Boden/Rico / Candy / Lynn Lemur, Jo Parsons/King Julien / Zeke, Matthew Pennington and Darren John/Offstage Swing.